Khesari Lal Yadav is a folk singer, actor as well as dancer in Bhojpuri cinema. He is very much popular in Bihar, Uttar Pradesh, Jharkhand. Khesari Lal got the popularity of his album “Aawa Ye balamua Samjhawa Apna Baap Ke”, this is the turning point of his life. Till now, he has been performed more that 100 albums. He also sings Devi bhakti geets, Bolbam bhajan, Chaita, Lok geet, Fagua, and Romantic songs. Khesari Lal Yadav is one of the best playback singers of Bhojpuri cinema. Generally, khesari sings a song in which films he plays a role of actor. Biography – Khesari was born 6th March 1986 in Chhapra, Bihar, India. Khesari Lal basically worked as Folk Singer and a Dancer, stage artists and live performers. Then he started Media Career as Bhojpuri Singer and connected with Bhojpuri Film Industry. His hits Album Song are “Piyawa Gaye Re Hamar Saudi Re Bhauji, Saiyan Aaiba Ki Na Aaiba, Lehnga me Meeter, Saiya Arab Gaiyle Na and Pyar Mange Lungi Bichake”. 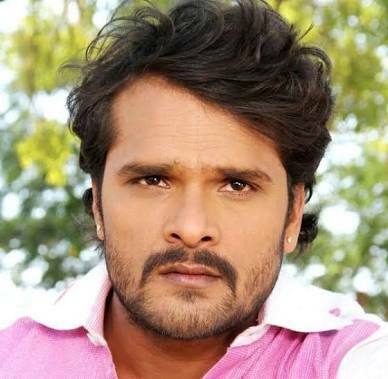 Khesari Lal Yadav was started his film acting career Superhit Bhojpuri Film Saajan Chale Sasural in 2012. He has been worked over 2 dozen Bhojpuri films. His favorite actress partner is Kajal Raghawani and Rani Mukherjee. Now, he is Rising Bhojpuri Film Actor.